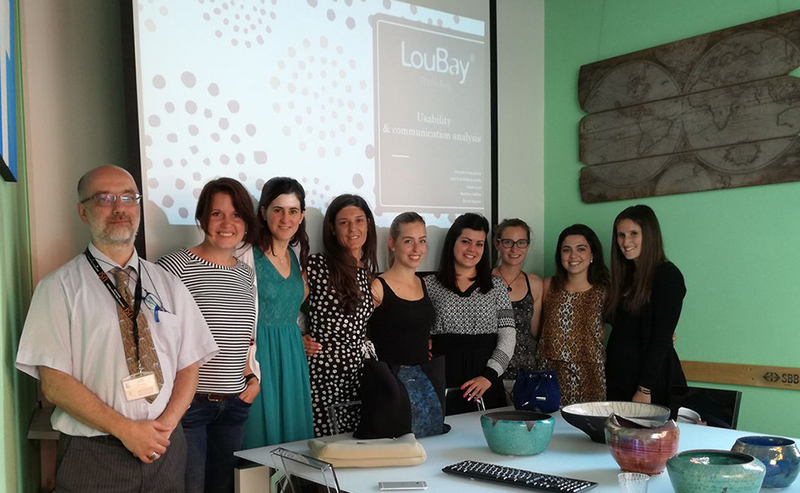 A group of Master students from the Master in Marketing of the Universita’ della Svizzera italiana worked for one semester on a strategic field project with SNDS web agency and LouBay bag producer. Loubay.ch is a Lugano-based fashion start-up, specialized in producing female bags made of neoprene. Main selling channel of the company today is mainly online through an already available eCommerce site, though the eCommerce possibilities along with the digital presence for the companies were not exploited to its maximum. A team of USI Master Students have worked under the supervision of prof. Cantoni and dr. Kalbaska in a close collaboration with the company. They were requested to study competitors’ communication, identify potential publics, and advice on the best communication strategy for the fashion company, including social media outlets.